With the help of Envirofluid, the University identified and mitigated a major health risk and sustainability hazard associated with its maintenance operation. In line with emerging national WHS standards it achieved this result at the top of the risk control hierarchy by substituting dangerous products with safe ones thus removing the threats entirely. Health risks were eliminated for both the contractor and also the public attending the University and the appearance of the facility improved with consistent surface presentation. The requirement of weekly removal of moss was extended out to every three months reducing labour costs and improving the overall satisfaction of the client with cleaner surfaces. The run-off from wash water has no detrimental effect on personnel or surrounding habitat. Reducing the possibility of liability claims for both public and environmental damage. 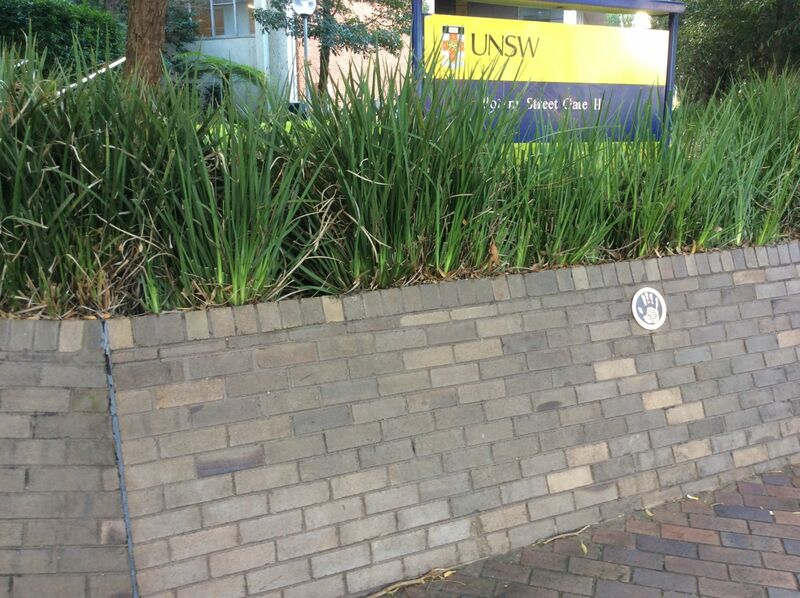 Property Maintenance contractors were faced with the challenging task of removing thousands of square metres of moss growth from brick, concrete and paved surfaces. Using chlorine liquid the contractors used a method they called ‘bombing’, which consisted of attacking a small area at a time with a strong solution of chlorine, and allowed it to sit before hosing off. Using this method the maintenance contractors were experiencing skin burns from the hazardous chlorine and the moss was re-growing on the walls within two weeks, making the moss removal task an almost insurmountable and continual problem. How do you effectively clean moss from large expanses of hard exterior surfaces and limit regrowth? Chlorine liquid is derived from a greenish-yellow gas and converted into a liquid under pressure or cold temperatures. Chlorine has a suffocating odour, is extremely irritating to the skin and can cause severe burns. Potential symptoms: Irritant to eyes, the upper respiratory tract, and the lungs causing symptoms such as coughing, stinging, or dryness of the nose and throat and burning of the conjunctiva. Discomfort ranging from ocular and respiratory irritation to coughing, shortness of breath, and headaches. High exposure to chlorine have resulted in the following effects mild mucous membrane irritation, chest pain, vomiting, dyspnea, toxic pneumonitis and pulmonary edema. Health Effects: Chlorine is a potent irritant to the eyes, the upper respiratory tract, and lungs. Chlorine is extremely irritating to the skin and can cause severe burns. Long-term exposure to chlorine in workers has resulted in respiratory effects, including eye and throat irritation and airflow obstruction. Affected organs: Eyes, throat, respiratory system and skin. Triple7 Heavy Duty was substituted in place of the current chlorine cleaning procedure. Triple7 Heavy Duty is a powerful bio-based cleaner and degreaser that is free of any hazardous and toxic ingredients. This product was simply spray applied to the surface, without the need for a pressure washer, to remove moss from hard surfaces. The workers found that by using Triple7 Heavy Duty it improved their health while increasing performance and safety. No special PPE equipment was required; they used less product and were not affected by toxic fumes.